This week, we continue our exploration of the sacred texts that make up the Christian Bible with the core writings that help Christians claim their unique identity of faith: the Gospels. The four books of the Gospels share the “good news” of Jesus Christ with the world, telling age-old stories of miracles and teachings, criticisms and prophesies. These stories tell us in compelling and imaginative ways who Jesus is and why Jesus matters. Written between roughly 65 and 100 CE, the four Gospels (Matthew, Mark, Luke, John) were written after Paul’s letters and therefore are not the first Christian writings (the remainder of the New Testament was likely written around the same time as the Gospels). We will explore each Gospel’s foundational themes, to whom they were likely written, and how we can use this knowledge to bring deeper meaning to these central and indispensable writings. 1 1Many people have already applied themselves to the task of compiling an account of the events that have been fulfilled among us. 2They used what the original eyewitnesses and servants of the word handed down to us. 3Now, after having investigated everything carefully from the beginning, I have also decided to write a carefully ordered account for you, most honorable Theophilus. 4I want you to have confidence in the soundness of the instruction you have received. What have you been taught about the Gospels? Are they history? Are they campfire stories? Something else? The text above (Luke 1:3) indicates that its author was writing from a collection of written sources and investigation. What does this say about its contents and authorship? What Gospel stories stand out to you as the most meaningful and/or memorable? Why? Consider reading these Gospels again while keeping these inaugural scenes in mind. I suggest that doing so brings into clearer focus each Gospel’s message and their central claims of an extraordinary Jesus – our Christ. When you have read the Gospels, what did you think about the various differences or even outright conflicting accounts? Did (or do) these things bother you? 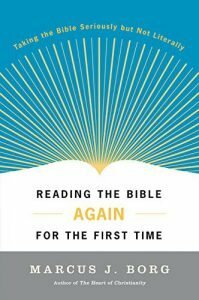 What does the idea of an inaugural scene or address say to you about how to read the Gospels again? Do you think this will affect your reading? If so, how? The sermon described the Gospels as Christianity’s primal (as in primary) narrative, our identifying story. Does this ring true for you? What does it mean, and how does this affect your experience of God?